Save £4 per ticket when booking for a group of six or more (in one transaction) for the Friday 8pm and Saturday 7pm prime-time shows in 2019. Make these savings online by entering the promo code laugh4less* or call us and quote the code. There are a limited number of these discounted tickets per show so booking in advance is highly recommended. Please note, any additional tickets for a group booking will not qualify for this discount and will be charged at Full Price. Booking for 15 or more people? Call us on 01273 647100 for an even better offer. 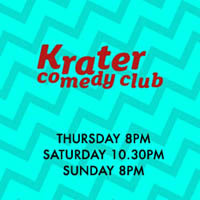 *This offer has now sold out for Krater Comedy Club on Friday 19th April (8pm), Friday 3rd (8pm), Saturday 4th May (7pm) and Saturday 18th May (7pm). 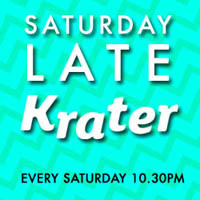 Try the Saturday night 10.30pm Krater for just £10 in 2019. 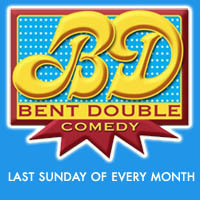 Save £5 per ticket by entering the promo code laugh4ten online and selecting ‘Full Price’ tickets. Doors 10pm. Valid for any number of people booking, no minimum amount. Strictly limited offer, no food included. Work in the NHS? 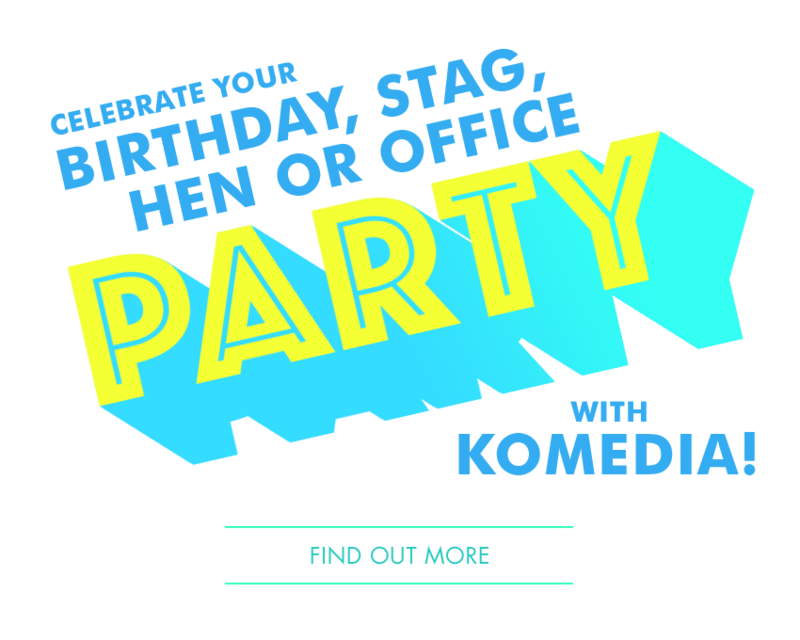 Get 50% off show-only tickets to Krater Comedy Club on Friday nights with the code nhs50. The discount is only valid for holders of the Health Staff Discount cards which need to be brought along on the night to be checked at the door. Discount is valid for one ticket per card. Anyone without the card will be asked to pay the difference. Offer is subject to availability with only a limited number per show. Booking early advised. Make this big saving on a MEAL DEAL+ ticket at our prime time Friday 8pm & Saturday 7pm shows. Not available on Sundays. 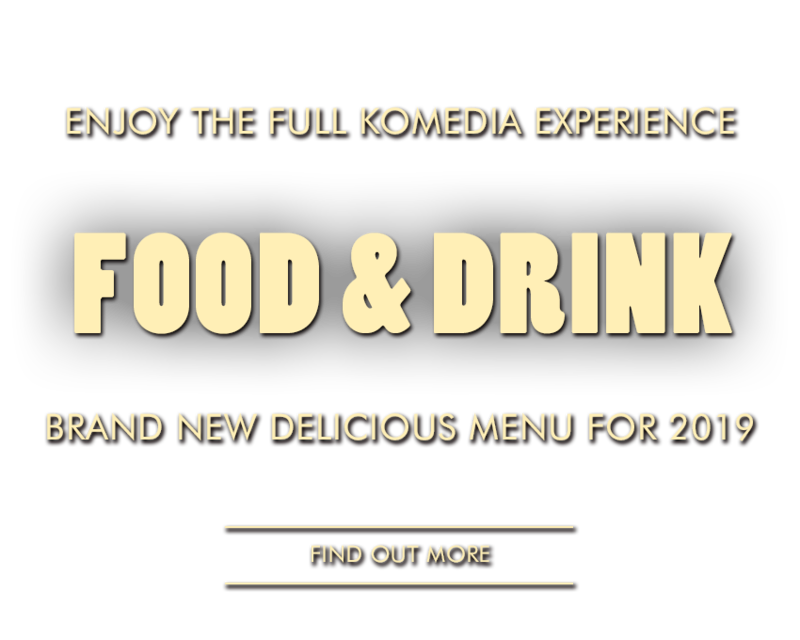 SAVE up to £6.50 on your show and food by choosing 3 sides from our delicious snack menu. Perfect for sharing or a satisfying meal for one! 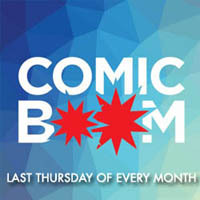 See a hilarious night of comedy for just £5! Please note: there are a limited number of tickets at this price so book well in advance. Student identification / proof of age needs to be shown at the door. 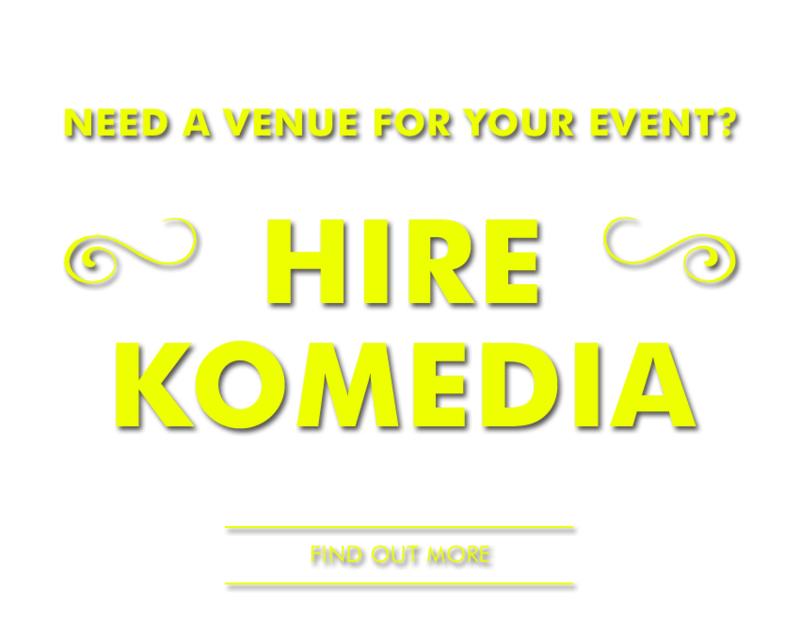 Join the Komedia mailing list for offers and occasional news. Click here.